The style of this refined contemporary wall clock is resolutely design while still being discreet. With no face, it enhances your interior decoration with a touch of elegance. 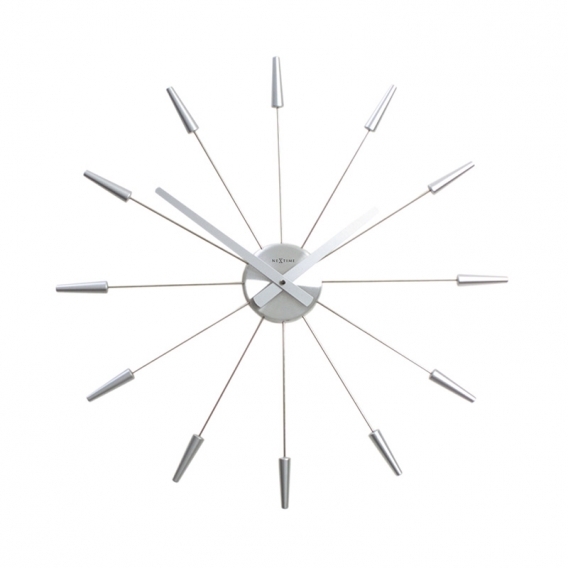 Sober and discreet this large wall clock has all the same generous dimensions with its 58 cm in diametre. Entirely in stainless steel like a vintage industrial clock, its central mechanism holds the spokes showing the hours and the two hands. A very elegant rendering with no face for a pared down aspect that will fully exoress itself in your contemporary living room. Do not hesitate to associate other pieces in shiny or dull metal to make perfect your design deco. This original clock can also be found multicoloured, golden and black.